The Department of State Services (DSS) has announced the appointment of Mr. PN Afunanya as its Spokesman/Public Relations Officer. This was confirmed in a statement issued yesterday by the Public Relations Department of DSS in Abuja. Afunanya replaces Mr. Tony Opuiyo, who has been issuing statements on behalf of the agency since Ms Marylene Ogar vacated the office in 2015. Recall that under the recently sacked ex-Director General of the DSS, Mr. Lawal Daura, the secret police had no substantive spokesperson. 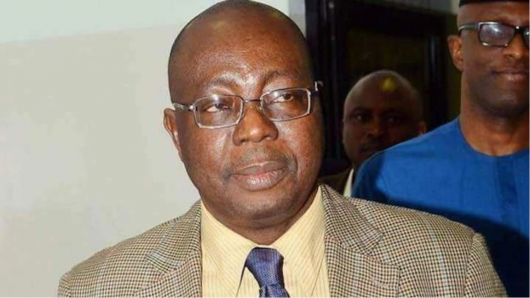 But the new Acting Director General of Nigeria’s secret police, Mr. Mathew Seiyefa, in his maiden media interaction promised to depart from the three-year practice and appoint a Public Relations Officer. The new spokesman of the DSS, Afunanya obtained the following degrees: BA. English (1997) ,Abia State University, Uturu; MA. English (2009), University of Uyo; and MA. Peace and Strategic Studies (2011), University of Ilorin. He is currently pursuing a PhD in Security and Strategic Studies at the Nasarawa State University, Keffi. He has attended several courses within and outside Nigeria namely: Innovation and Strategy at Harvard University, Boston, USA; Security Management and Coordination, London and Investigative Journalism at City University, London. Other courses he has attended are on Leadership, Arbitration, Conflict Management/Resolution, Negotiation and Public Communication among others. He is the Editor-in-Chief of the DSS’ in-house Magazine, The Triple S.
Furthermore, the new Spokesman is a member of: Nigerian Institute of Chartered Arbitrators (NiCarb); Nigerian Red Cross (NRC); Nigerian Institute of Management (NIM); Nigerian Institute for Industrial Security (NIIS); Society for Peace Scholars and Practice (SPSP); American Society for Industrial Security (ASIS); and he is a fellow of the Institute of Corporate Administration (ICA).